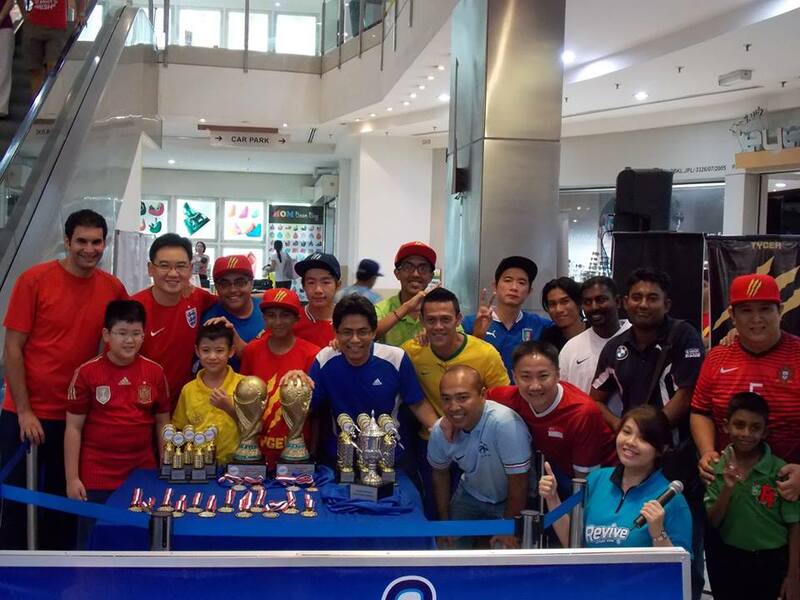 On June 21 and 22 the Hartamas Tigers club hosted their first international event in Kuala Lumpur. This was a special tournament with a strong group from SIngapore taking part as well as Ouabi ROuis from France. 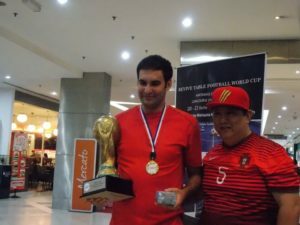 The event had the double status FISTF and WASPA and 26 players in total took part. The Open category of the FISTF Satellite was also a “WASPA regional” with 23 players. There was no surprise as Ouabi Rouis (picture) was the stronger player, defeating Den Mulia in the final. Tan Kok Wee and Michael Choong reached the semis. The U19 section wasd also a “WASPA promotional event” with 8 players. Giovanni Choong proved to be an improving player by beating Luke Lim in the final. Isaac Lim and Malaysia’s Vishnu Varthana Sundram lost in the semis. Congratulations to all. This entry was posted in FISTF News and tagged Malaysia, Results. Bookmark the permalink.